To celebrate and mark National Apprentice Week, we have published a myth buster guide to help employers understand what the government’s new tax – the apprenticeship levy – means for their business. The free guide is designed to help businesses understand fact from fiction. 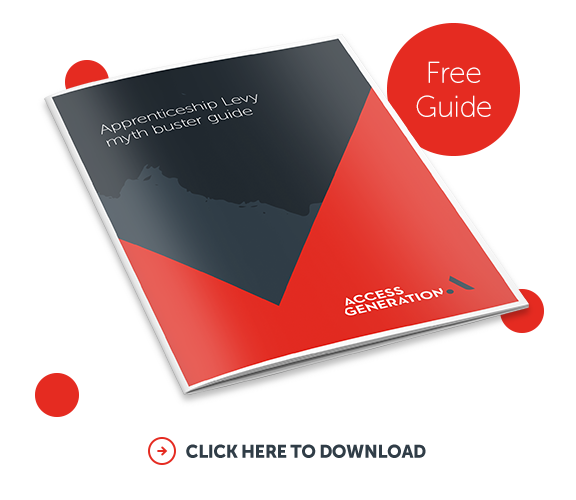 Inside the guide employers can read up on the myths and facts around the apprenticeship levy, plus see the process flow chart for levy payers and get guidance on employing apprentices and advice on what to do next. Access Generation does not favour apprenticeships over and above any other route into employment for young people. If you are considering creating an apprenticeship role we would recommend that you refer back to the official government information online before making any decisions. Insights from the audits conducted by young people will allow us create a toolkit to help businesses to develop their own processes to attract and recruit young people. It will also have an easy to follow framework to adapt your employee brand to help you build your own talent pool. Register your interest online to be the first to hear more about this new product in April.